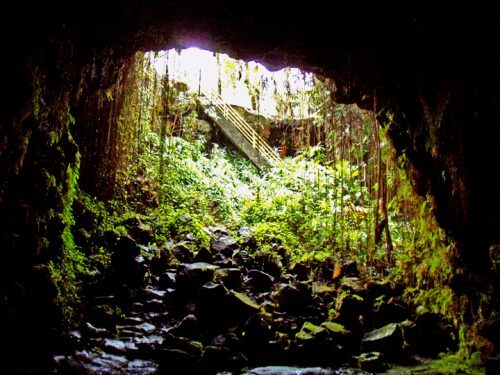 Kaumana Caves State Park is home to what is widely viewed as one of the best lava tubes in Hawaii. 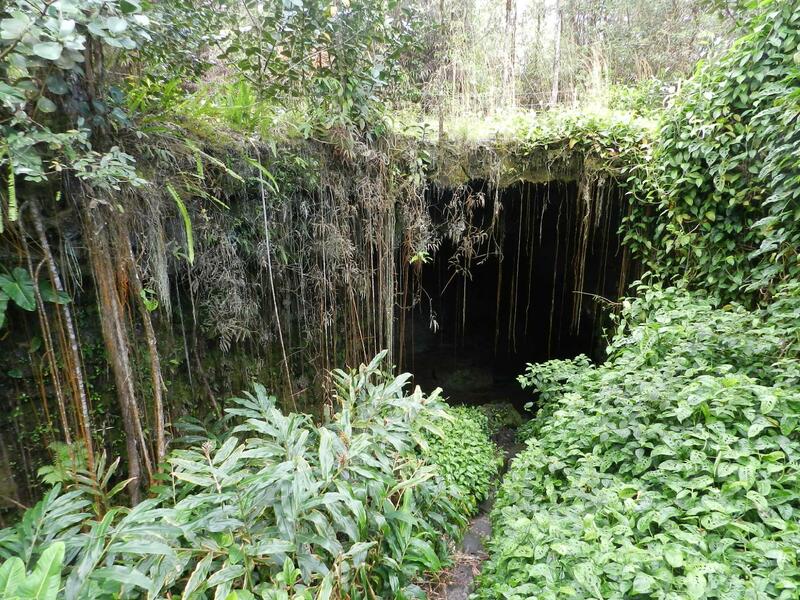 This park features a 25-mile long lava tube that was famously created by the 1881 flow from Mauna Loa. From Hilo, follow Highway. 200, the Saddle Road, to the 4 and 5 mile marker. The cave is located across the road from the parking lot. Descend the metal ladder into the collapsed skylight of the lava tube and explore both ways. The area is very lush and covered in overgrowth. The park and lava tube has no admission fee and also contains picnic tables and restrooms for tourist convenience. It is recommended that you bring bug spray and the appropriate clothing for this hike, including a flashlight. 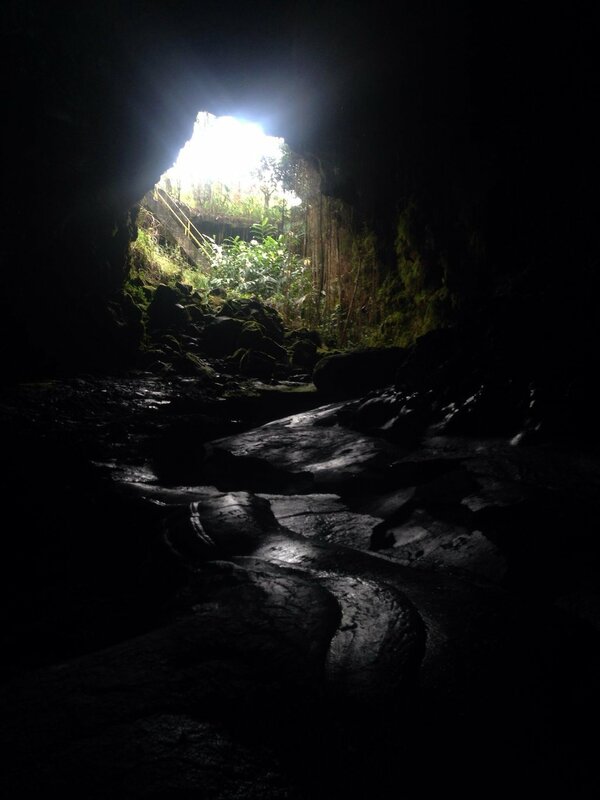 The outside of the lava tube. A look at the inside of the lava tube.